Far and away my favorite meal! Sunset Magazine claims the Dutch Baby as we know it hails from roughly 110 miles south of us, in Seattle. Manca’s Cafe was the place. Derived from the German Pfannkuchen, or pancake, Dutch Babies are in fact made in some form or another all over the world, so Sunset is likely blowing smoke in that regard. Nonetheless, they’re delicious, easy to make and a joy to eat. Monica requested one for brunch today, so off we go. This is my gussied up version with fresh, local ingredients, and it was fabulous indeed; the lemon is nice and tart,and the spice notes provide a pleasant, subtle background. 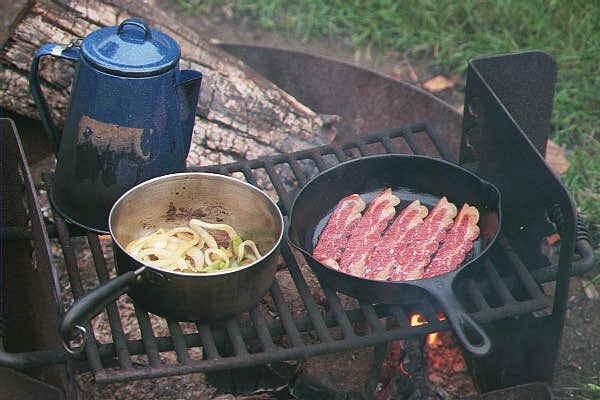 Place a cast iron Dutch oven (or 10″ skillet) in a middle rack position as the oven heats. In a small non-reactive mixing bowl, combine together sugar and lemon zest. With an immersion blender or stand mixer, beat eggs until they’re frothy; you want to incorporate a fair amount of air bubbles into this battery, as that’s the catalyst for a good rise. Add milk, flour, spices, and continue beating for another minute; you should have a thin, smooth batter with big bubbles in it. Carefully add 3 ounces of the butter to the hot pan and continue heating. 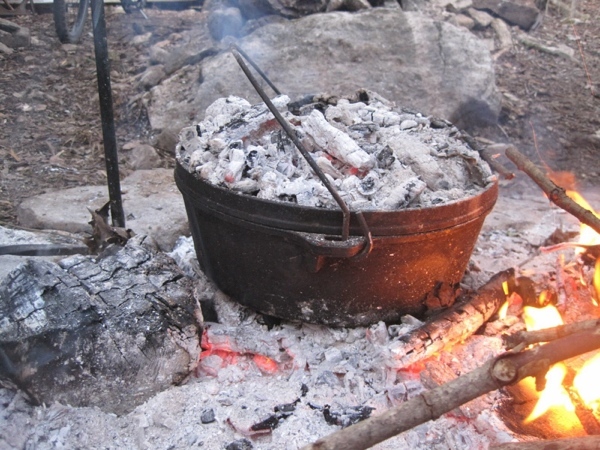 When the butter is sizzling, carefully pour the batter into the center of the Dutch oven. Bake for 20 minutes and do not open the oven door – The trapped heat and moisture is critical to the Dutch baby’s rise. Combine 1 oz. soft butter, a teaspoon of honey, and the juice from the lemon wedges – it won’t incorporate fully, but it’ll be fine for service. Serve immediately, topped with the lemon-honey-butter. Viola, a fat and sassy Dutch Baby! Painless Eggs Benedict at Home. There are dueling Benedicts behind the origin of this dish; the only agreed points are that it is American, and that hollandaise is involved. Being a lifelong subscriber to the New Yorker, I am familiar with both stories, as they were both celebrated within the pages of that august magazine. I was raised believing in the Lemuel Benedict version, in which a retired stockbroker with a hangover wobbled in to the legendary Waldorf one morning in the late nineteenth century and ordered more or less what is now known as Eggs Benedict – toast, bacon, poached eggs, and hollandaise. The Maître d’ on duty liked the idea and put it on the menu, subbing English muffin for toast and ham for the bacon, and naming it after the broker as a nod to his genius. The competing Benedict was E. C., a New York banker, who’s version included a mixture of chopped, hard boiled eggs and minced ham topped with hollandaise. Given the wide differences between Lemuel and Elias Cornelius’ versions, it’s fairly obvious who has won at least the popular vote, if not the naming rights. I’ll admit that E. C.’s is tasty, but as you can see, it’s not nearly as photogenic, and you also lose the delight of a somewhat runny yoke. Inconsistent results when poaching eggs. My method does away with all that, and produces glorious results, guaranteed. As you’ll see, we build the hollandaise first, with a decent understanding of how and why it works, which clears the deck for a relaxed and successful result. And secondly, we’ll use a skillet instead of a sauce pan to poach, which affords you much better, very consistent results. Doing so means you can clearly see how your eggs are cooking, and better management of the whites. First, a bit about the heartbeat of the dish, hollandaise. This is an emulsion, which means one of two things in cooking, either fat dispersed into water, or water dispersed into fat. Hollandaise is the former, and that’s important to understand when considering that it’s made with egg yolks only. Both yolk and whites are protein rich, and it’s the unraveling and meshing of such proteins that allows us to integrate a bunch of fat therein and form a nice, rich sauce. In that sense, yolks have a distinct disadvantage vis a vis whites – Yolks have almost no water when compared to whites, and their proteins are wound that much tighter. The best illustration of this is trying to whip either in order to increase their volume. Egg whites whip readily and expand willingly, while on the other hand, no amount of whipping will appreciably increase the volume of yolks. Those proteins in egg yolks are too dense to expand when they stand alone; water is what they need to be able to do that – add a tablespoon of water to the yolk of a large egg and you’ll get about the same water balance as one egg white has. Yet even doing that, the expansion you achieve will be very short lived. Those proteins are so tightly packed that, even though you’ve introduced air and made them expand, they are still not ready to truly relax and merge. In light of this chemical fact, you might note that it’s surprising how many hollandaise recipes include no water, and you’d be right – I don’t get that, either. Acids, like lemon juice or vinegar, will also relax yolk proteins, but the real protagonist here is gentle heat, with an emphasis on gentle – Heat this mixture too much and you get scrambled eggs, as many cooks are all too familiar with; in fact, overcooked hollandaise is easily the Number One Fail for home cooks. 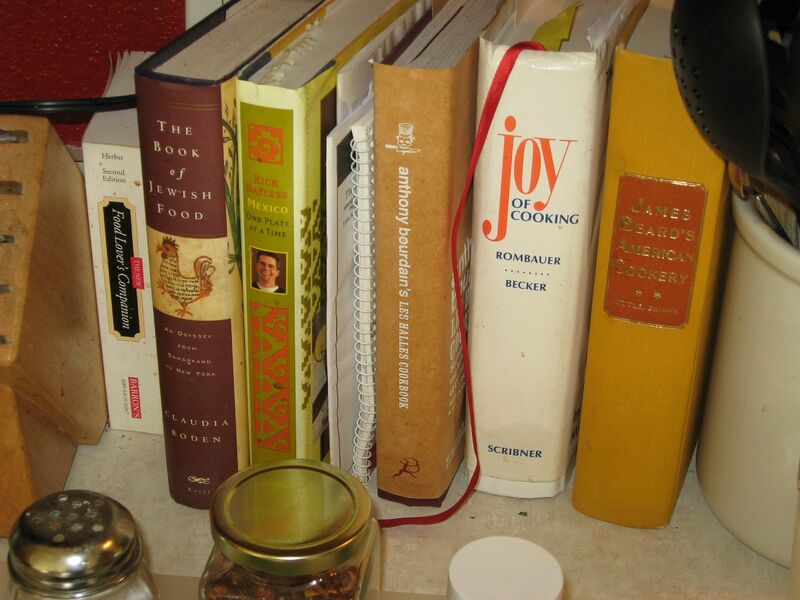 You’ll see, below, that I use far less heat than most recipes, and that none if it is direct. This solves the overcooking and the fussiness, to boot. Fact is, the indirect, (mostly steam), heat in the double boiler, coupled with the latent heat within the melted butter is more than sufficient to get the job done. So, what we do is combine an acid, (lemon juice), with heat; that lets us achieve the desired end, and takes the pressure of screwing up off the cook as well. Here’s how you do it. Separate eggs. Place whites in an airtight container and refrigerate or freeze for future projects. Put about 2″ of water in a sauce pan sized such that a mixing bowl or double boiler will fit within. You want the bottom of the bowl you’ll work in to be above the water by a good 2″. Not doing this right is a primary cause of failed hollandaise – Too much heat, and/or heating too fast. In a separate sauce pan, melt butter over medium low heat. When the water starts to simmer, turn off the heat. In a small mixing bowl, combine egg yolks, water, and lemon juice. Whisk briskly by hand to combine, until blend thickens and the volume has increased notably, about 2 minutes. Place bowl over the hot water pan. Gently but steadily whisk the egg yolk mixture to heat it through, about 1 – 2 minutes. Begin slowly adding butter in a thin stream; add a few seconds worth, whisking gently but constantly, until the yolk mixture has incorporated the butter, then add a little more, and keep doing so until all the butter is absorbed. The sauce will thicken somewhat, but possibly not as much as you like it to end up, but don’t sweat that point; as the sauce sits while you prep the rest of the dish, it’ll thicken a bit more. Whisk in the Tabasco, then set the whole double boiler rig on the back of your oven, and cover with a clean towel. Cut sourdough into roughly 4″rounds, and do the same with the ham. Toast sourdough lightly, then place ham onto plates in the oven to heat through. 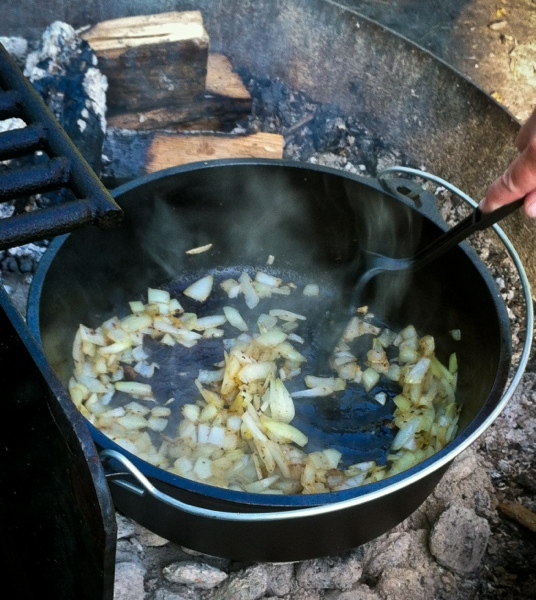 In a large skillet over medium heat, add about 2″ of hot water, and the vinegar. When the water starts to simmer, roll the heat back to medium low. 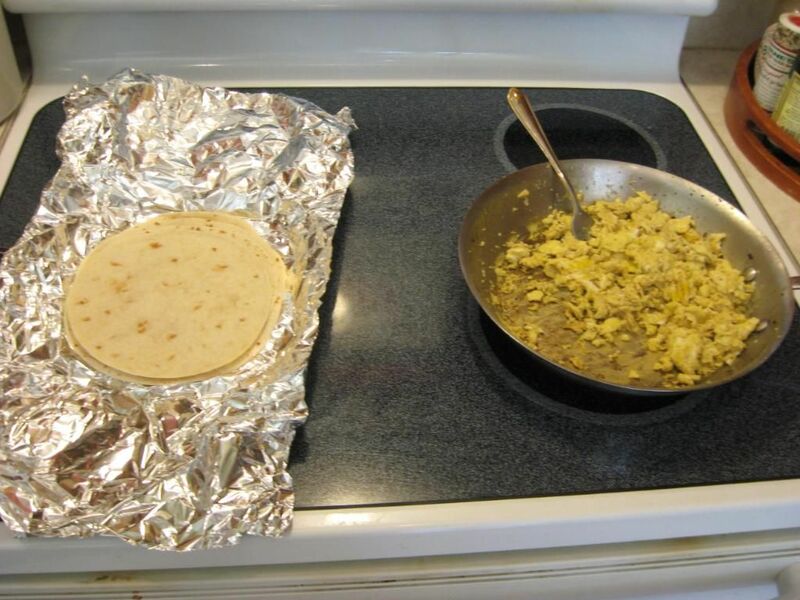 Gently crack an egg and, with the shell just above the water, slowly release it into the pan. The vinegar will help the whites to solidify quickly, keeping your eggs together. Repeat with the other three eggs. Poach eggs for about 3 minutes, until all the whites are nicely set and the yolks are still semi-liquid. Remove plates, toast, and ham and set up two of each on warm plates. Use a slotted spoon to gently corral eggs and set them carefully on the ham and toast stacks. Uncover hollandaise and whisk to loosen it up a bit. If it’s a bit too thin, a little burst of heat and whisking will take care of that in less than a minute. If perchance it’s thickened too much, a teaspoon to two of milk whisked in will bring everything back to status quo. Spoon generously over eggs and garnish with a little fresh dill. I don’t really have to say ‘enjoy,’ do I? Posted on June 13, 2015 June 13, 2015 Author UrbanMoniqueCategories All Things Breakfast, House Made, ReferenceTags cooking emulsions, eggs benedict, history of eggs benedict, homemade hollandaise, perfect hollandaiseLeave a comment on Painless Eggs Benedict at Home. Along with stand mixers and fondue sets, waffle irons are more than likely collecting dust in a corner of many of our pantries. Waffles get a bad rap as ‘food that’s not good for you,’ and ‘a pain to make’; nothing could be further from the truth. Sure, a store bought, frozen waffle is an abomination, along with generic table syrup, and both are to be avoided like the plague. 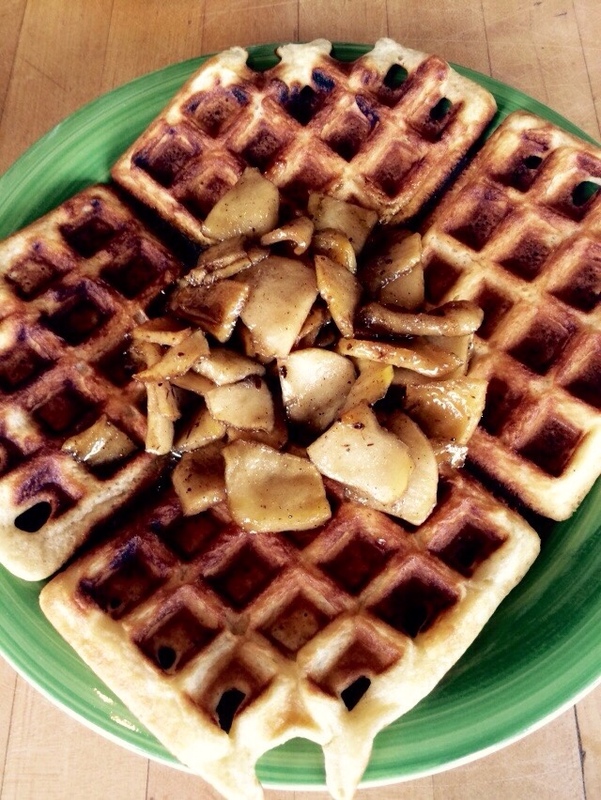 A homemade waffle, on the other hand, topped with delicious things is a delight in every way. Batter or dough has been cooked between two hot plates for hundreds of years. The earliest recipe written in English that I’m aware of appeared in the 1600s, and paid proper homage to the Dutch ‘wafel’, that from the Frankish ‘wafla’, which harken back as far as the 1100s and meant honeycomb or cake. Waffles started out life as derivations of the communion wafer, thin, crisp cakes not unlike the modern pizzelle, still quite popular in Italy. These earliest versions were almost always round and made of grain flour and water, just as communion wafers were and are. As such, they weren’t particularly big on taste, so flavorings like honey or florally infused water were introduced, such as rose and orange blossom. It wasn’t until the 1300s that a recipe included eggs, wine, flour, and salt, but did not contain leavening of any note. Another hundred years would pass before irons notably different in pattern from the communion wafer, or oublie, would appear. 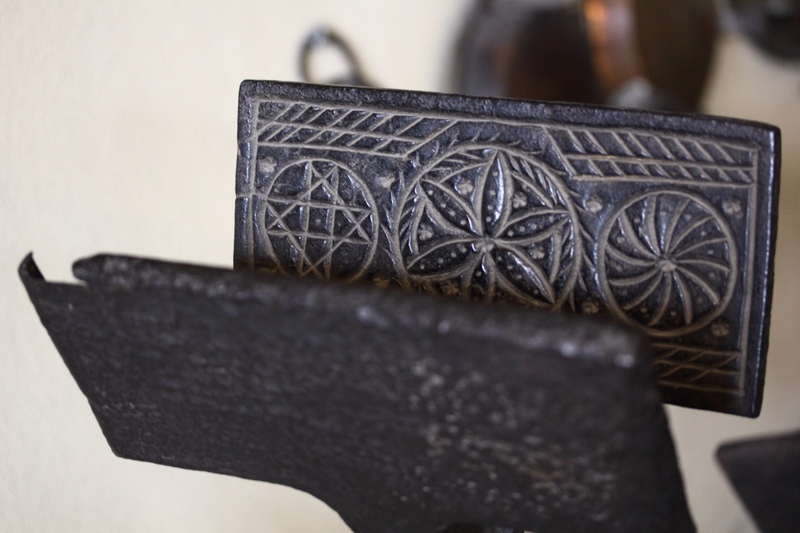 These new versions, the French fer à oublie and the Belgian wafelijzer, were square or rectangular, and set with an even grid pattern; the space between these early irons was still rather thin, leading to a finished product likely akin to the modern Brussels waffle. Another couple of centuries would pass before recipes routinely included yeast, sweeteners, and spices added directly to the batter. Leavening was the innovation that allowed waffles to become the thicker, more appealing treat we enjoy to this day. 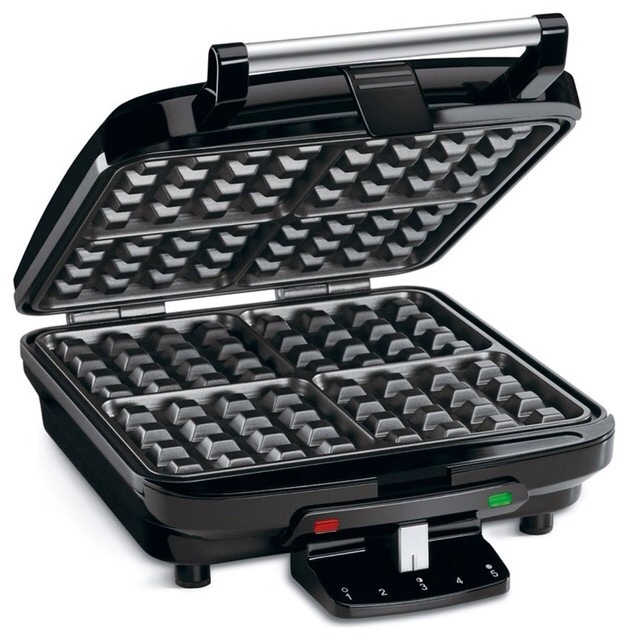 Waffle makers have advanced leaps and bounds from the versions we had as kids. There are makers that’ll do anywhere from 2 to 8 at a pop; some are deeper and rotate, to specialize in the thicker Belgian version. There are timers and dark-to-light controls as well. I opted for a simple maker with a light to indicate ready status, and no other bells and whistles. If you keep an eye on your maker while it’s working, it’s a safe bet that somewhere around 6 to 8 minutes in, when the steam output has diminished and you’re smelling nice, toasty cereal notes, your waffle will be done. After you’re used to yours for a while, it’ll be second nature that requires little conscious thought. Non stick is nice, and can now be found in non-toxic, environmentally friendly versions; it’s great to have, but does not mean you don’t still need a little something sprayed or wiped on before you cook. Waffle recipes are pretty straightforward; once you’ve got your ratios down, they lend themselves well to experimentation. A few points, illustrated with the recipes below. Thicker, lighter styles, like Belgian, want the eggs separated and the whites beaten and folded in to achieve that end. The same process will help heavier, gluten poor flours generate a lighter, less leaden final product. 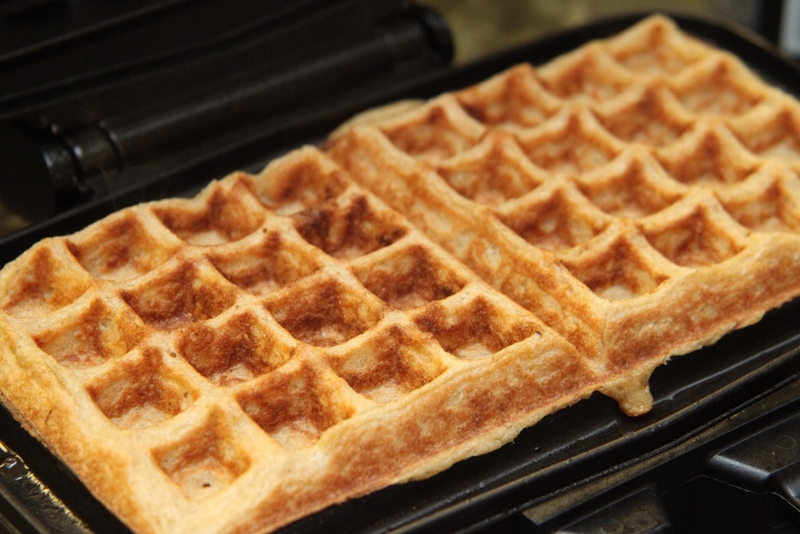 Vital wheat gluten is a fantastic tool to help those heavier flours end up as fluffy waffles. Leavening can usually be achieved adequately with just baking powder, but judicious use of both powder and soda works just fine as well, especially with heavier batters. Yeast raised waffles take longer, but reward with a complex, tangy note that faster leaveners just can’t duplicate. Here are a few variants to spark your creative juices. Any of these recipes can be made savory if you wish. 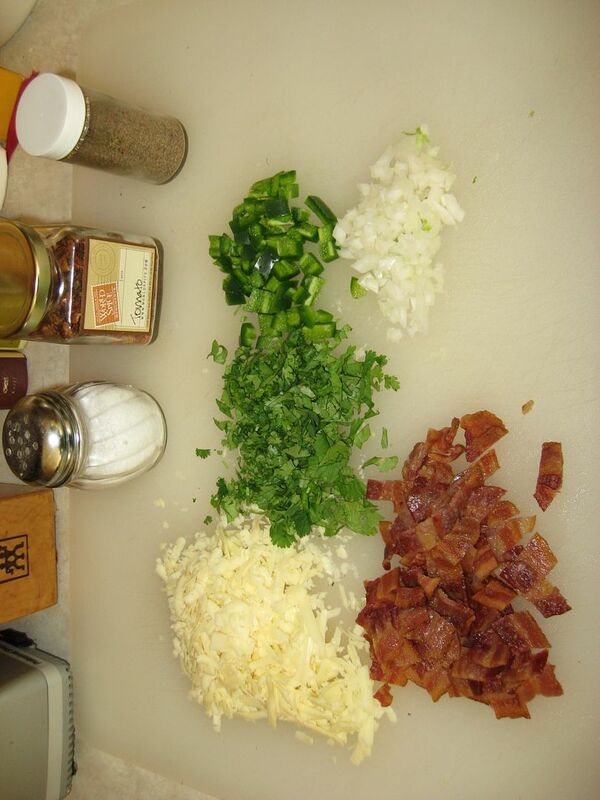 Thinly sliced green onions, chive, or other herbs can be added to the batter, or incorporated into toppings made with sour cream, cremé fraîche, crema, or Greek yoghurt. 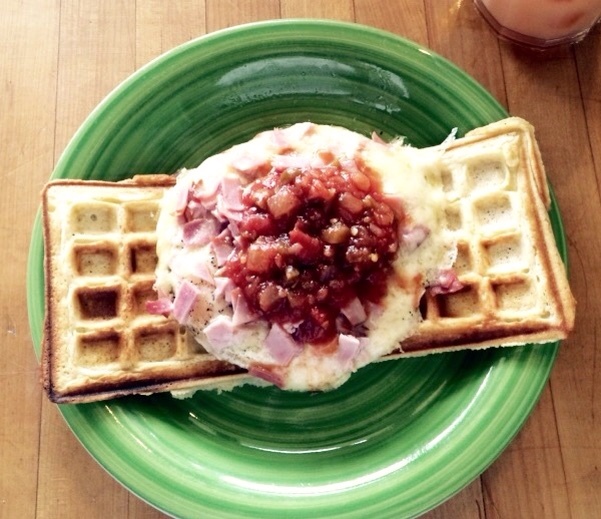 Chutney, salsa, mostarda, or sauteéd vegetables are equally delicious, as is a waffle topped with an over easy egg, crumbled bacon, and melted cheese. If you add veggies or fruit directly to a batter, consider sweating them in a sauté pan first, to reduce the amount of moisture and keep your waffles from getting soggy or falling apart. For topping sweet waffles, it’s awfully hard to beat real maple syrup and butter. You can substitute whole wheat pastry, or whole grain white flour, one to one for any recipe calling for all purpose. Subbing 2% milk for whole works, and almond or soy milks make fine alternatives as well. Coconut oil makes a great sub for butter, as will olive, avocado, or grapeseed oils for savory waffle recipes. Honey, agave nectar, or less refined sugars are also fine alternatives. Fresh fruit is always a delightful topping for any variant. With modern waffle makers, it’s best to pour a ladle or two of batter into the middle of the iron, enough spread to within a couple inches so of the edge; gently closing the lid will finish the job. Each recipe will make 6-8 waffles. They will store well short term, and are delicious toasted the next day. In a small pot over medium heat, combine milk and butter; stir until melted and bubbles start to form on the edge of the pan. Add sugar and salt and stir steadily until melted and hot but not simmering. Remove from heat and let stand until lukewarm. In a warmed mixing bowl, combine 1/2 cup warm water and yeast. Let stand until it foams, about 5 minutes. Add warm milk mixture to yeast and stir. Whisk in flours, then cover tightly with plastic wrap and let stand until doubled in volume, at least two to three hours at room temp, or overnight in the fridge. Whisk eggs and baking soda into the batter. Cook according to manufacturer’s directions until golden brown. 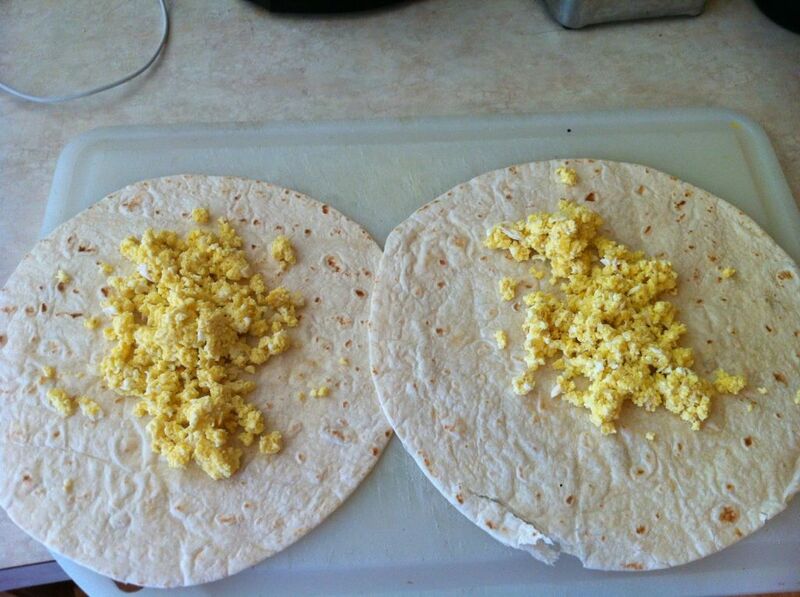 Separate eggs into two small dishes. In a large mixing bowl, combine flour, sugar and baking powder. In a second mixing bowl, lightly beat egg yolks until frothy. Add milk, melted butter, and vanilla, and whisk thoroughly to incorporate. Add wet to dry mix and whisk gently until just combined. Whisk egg whites until stiff peaks form; fold gently into the batter. 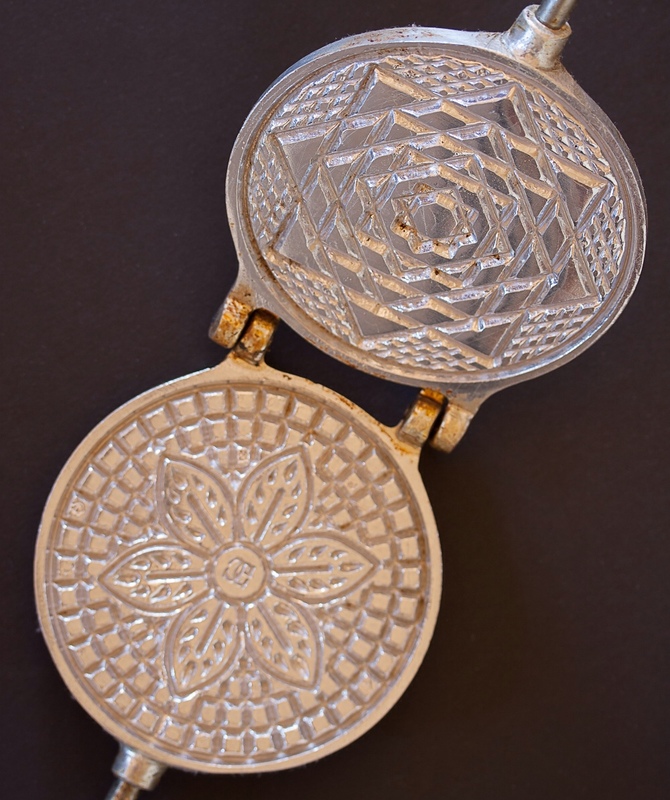 Cook in a preheated waffle iron according to manufacturer’s directions until golden brown. In a large mixing bowl, combine flour, sugar, baking powder, baking soda, and salt, and whisk to incorporate. In a separate bowl, whisk and combine thoroughly buttermilk and butter; add the eggs and vanilla, and whisk again. Add wet mix to dry and whisk gently until just combined; batter will be slightly lumpy. Cook until golden brown, according to manufacturer’s instructions. In a large bowl, add buckwheat flour, vital wheat gluten, baking powder, baking soda, salt, and cinnamon, and combine. Add yolks to a second mixing bowl, and whisk until frothy. Add the sugar, butter, milk, and yogurt and combine thoroughly. Whisk egg whites until they raise to soft peaks. Add wet mix to dry and whisk gently until just combined. Add one half of the egg white and fold them gently into the batter; do the same with the second half. In a large mixing bowl, combine flour, sugar, baking powder, baking soda, and salt, and whisk to incorporate. In a separate bowl, whisk and combine thoroughly buttermilk and butter; add the eggs and vanilla, and whisk again. Breakfast is the meal we love best here, and that’s where I do some of my best work. Here's a recipe for a signature dish that I literally worked on for years before offering here. It is incredibly good, fun to make, very impressive visually and unbelievably delicious. Ladies and gents, I give you the potato crusted quiche. 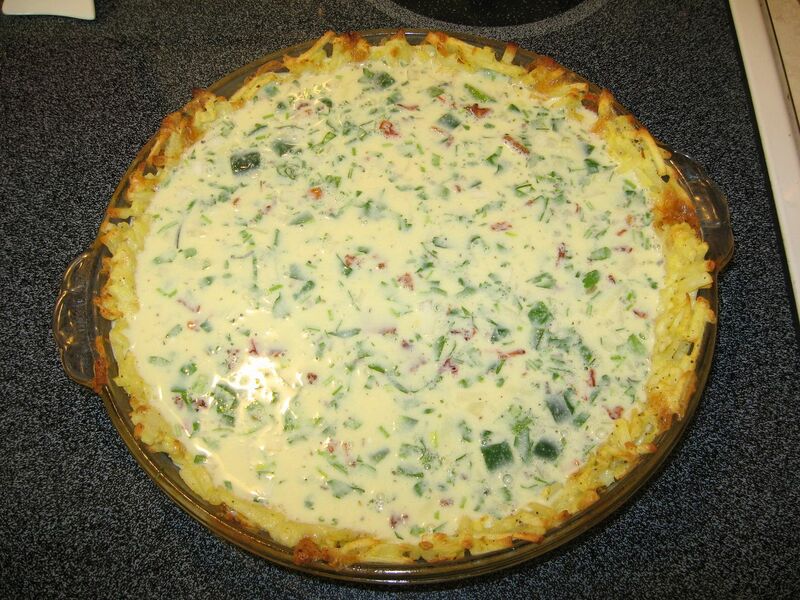 Quiche is a member of the custard family, of course, which encompasses everything from crème brûlée to the savory breakfast variants, like frittatas and tortas and quiche. 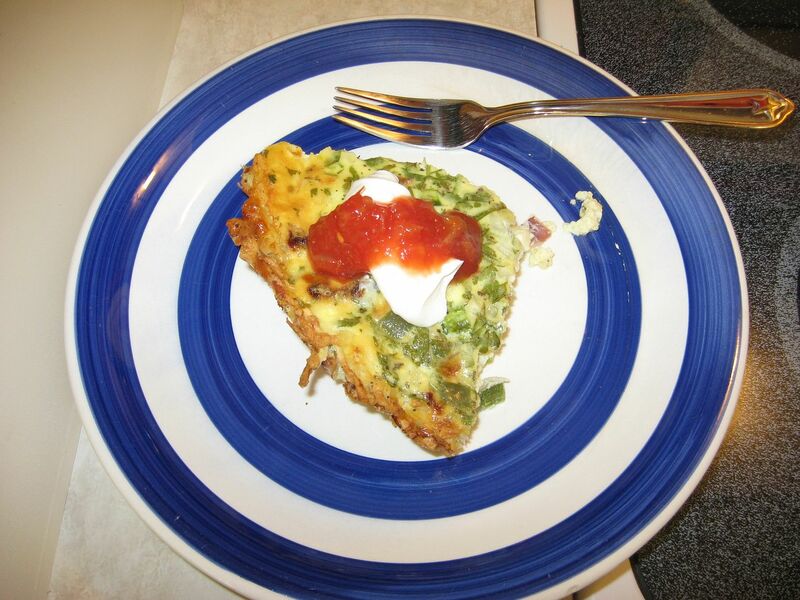 Eggs are a perfect food, and quiche is the best possible savory application utilizing them that I can think of. 1. Bring your eggs and cheese out with enough lead time to have them pretty close to room temperature before you mix and cook. 2. Scald your milk before you mix – In a sauce pan over medium high heat, until tiny bubbles form right around the very edges of the milk, then take it off the heat and let it cool a bit; this helps things made with it to cook quicker and more evenly in the oven. 3. 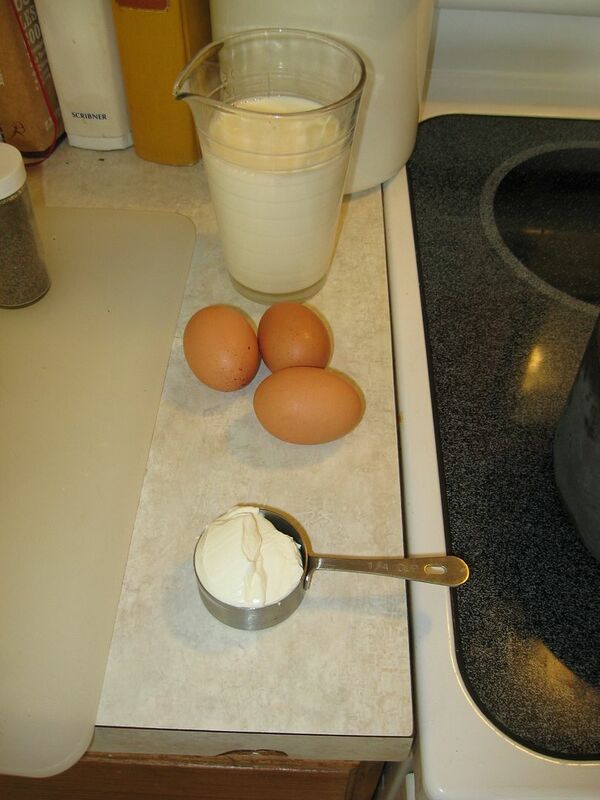 Blend your egg-milk mixture well. the more it is blended, the smoother your custard will be – Use an immersion blender if you’ve got one, a stand mixer or blender if you don’t. Grate about 2 cups of your favorite hash brown potato; Russets are most traditional, but any high-starch potato will do fine. Transfer the grated potato to a mixing bowl, and cover the potatoes completely with ice cold water. Let them stand for about 5 minutes, then strain out the water, and refill the bowl with ice water again, and allow a second 5 minute soak. Drain the potatoes into a single mesh strainer, then grab handfuls of the shredded spud and wring the water out of them. Transfer the potatoes to a dry bowl. 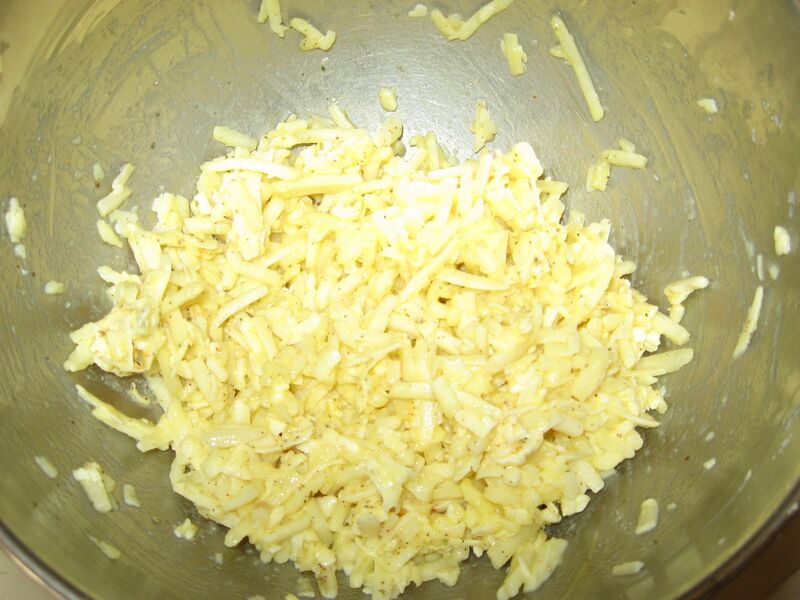 Add the grated Swiss and crack the eggs into the mix as well, then season lightly with salt and pepper. Combine everything thoroughly by hand or with a wooden spoon. Lightly coat a pie pan with olive oil, then spread the crust into the pan by hand and form a nice, even layer on bottom and sides. Form the sides of the crust over the height of the pie pan, as they'll shrink a bit during blind baking. 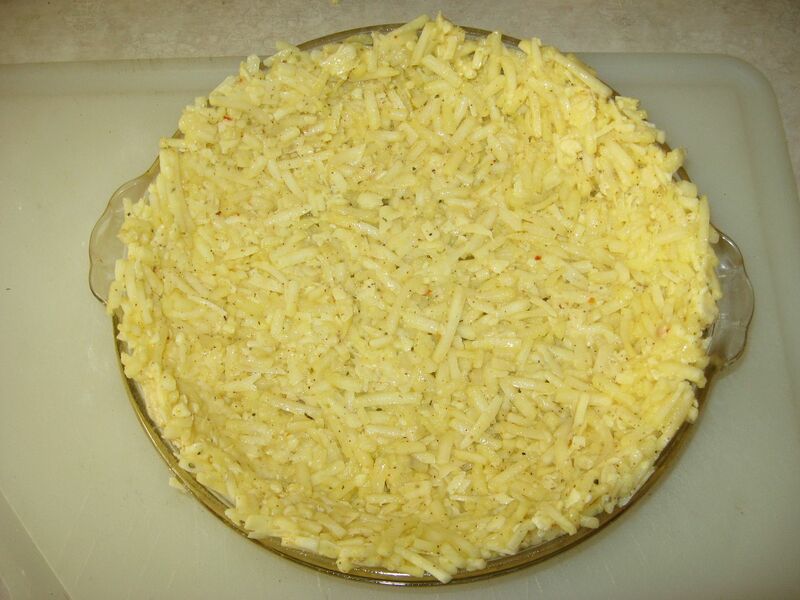 Bake the crust for 15 minutes at 400° F, until the eggs have set and the cheese has melted slightly; this is important, as it forms an impermeable layer for the egg mixture to come. Remove from heat and reduce baking temp to 350° F.
Scald the milk and set aside to cool a bit. Cut the cheese into roughly 1/2″ cubes. Chiffenade the chives. Whisk eggs briskly, then add sour cream. Add the milk slowly, to temper the mixture and avoid cooking the eggs prematurely. Blend all very well with an immersion blender. A classic quiche is simply eggs, cheese, and some seasoning, but you can certainly add more as you desire. Avoid ingredients that hold a lot of water, like tomatoes, as they'll tend to make your final product runny. If you wish to add things like ham or onion, it's best to lightly sauté them first, which will concentrate flavors and drive off excess moisture prior to baking. Bake for 45 minutes at 350° F, until the quiche has risen nicely and is golden brown on top. Remove from heat and allow a 10 minute rest, then cut, serve and enjoy. Our Yelp review of our fave neighborhood haunt! Once you get used to production and pick out a plan, doing things like we do doesn’t take all that long. I like picking ingredients and meals for all the senses; for sight and feel as much as taste and smell, frankly. 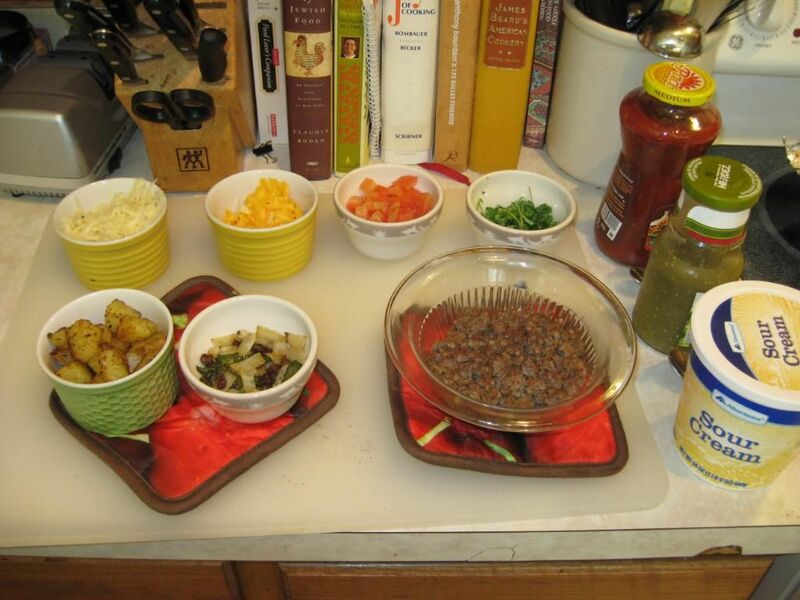 For instance, I actually like Huitlacoche, but its’ so dang fugly, I just don’t use it. Ever tried black salt? Looks great, but it smells like egg, beer and onion farts until you cook it; that’s a big no thanks for me. So this morning, I’m knocking around and decide to make some flour tortillas, (You can find that whole process in the archives right here, BTW, for both flour and corn tortillas). I made big ones, so then of course the question is what to put in them. 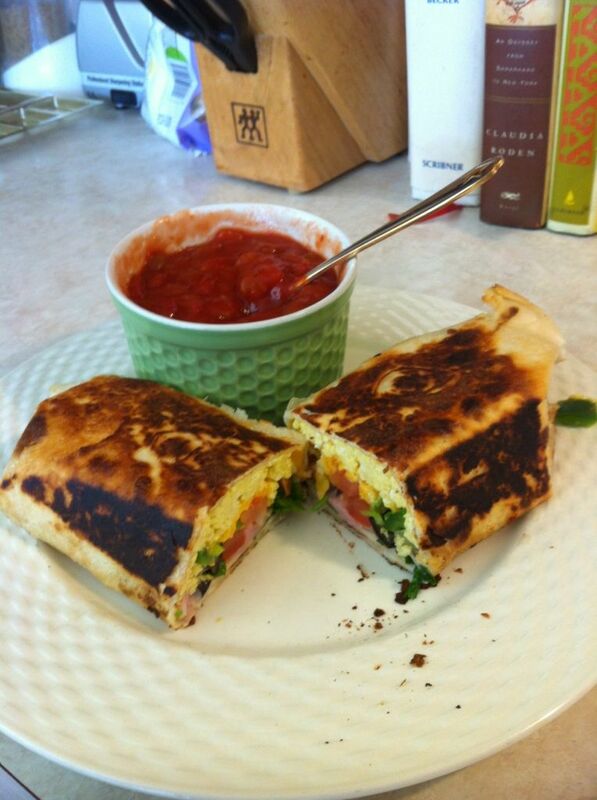 Chimichangas passed through my mind, so I went with a brunch version of that. 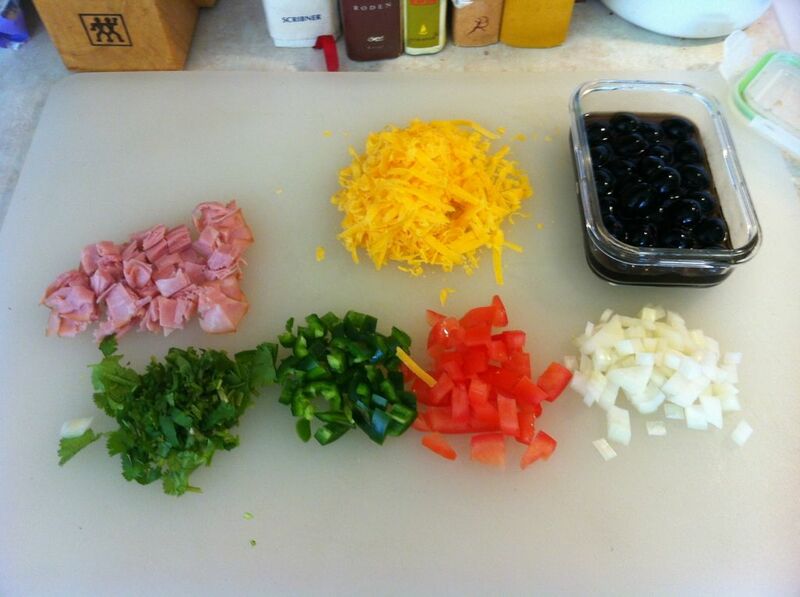 Sweet onion for flavor and aroma, cilantro and fresh tomato because you must, jalapeno for crunch and bite, black olives ’cause they’re pretty, smoked ham and extra sharp cheddar for texture and chew. I mean come on, that’s a dang pretty prep board, yeah? Posted on January 11, 2012 Author urbanmoniqueCategories All Things Breakfast, Classics & StandardsLeave a comment on ¡Ábre tus ojos! Here’s how we do ’em, capiche? Probably a couple of fine points could use some further illustration, so if you need or want it, just ask! 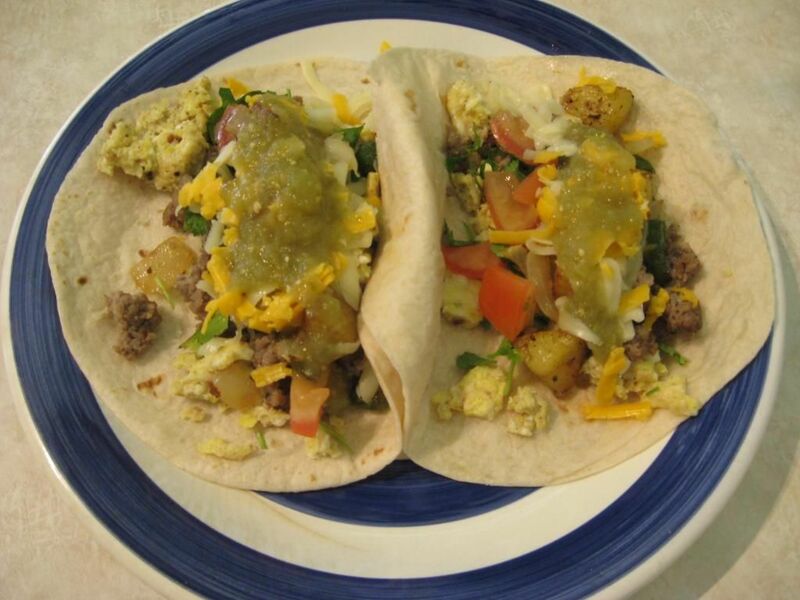 Posted on September 24, 2011 Author urbanmoniqueCategories All Things Breakfast1 Comment on Brunch Tacos, Anyone? Welcome, friends, welcome to 2011! M and I have been blessed this holiday season with each other’s company for 2 whole days in a row, not only at Christmas but here at New Years as well. For me, that means amble reasons to cook for the love of my life; who could ask for anything more? Breakfast is what we love best and that’s where I do some of my best work. So, for the first entry of 2011, I’m going to share a recipe-in-progress with you that I’ve been working on for the better part of a year. This is not the final form it will take, but it is incredibly good, fun to make, very impressive visually and unbelievably delicious. Ladies and gents, I give you the potato crusted quiche. Quiche is a member of the custard family, of course, home of everything from crème brûlée to, the savory breakfast sub-species, which includes frittatas, tortas and quiche, among other goodies. 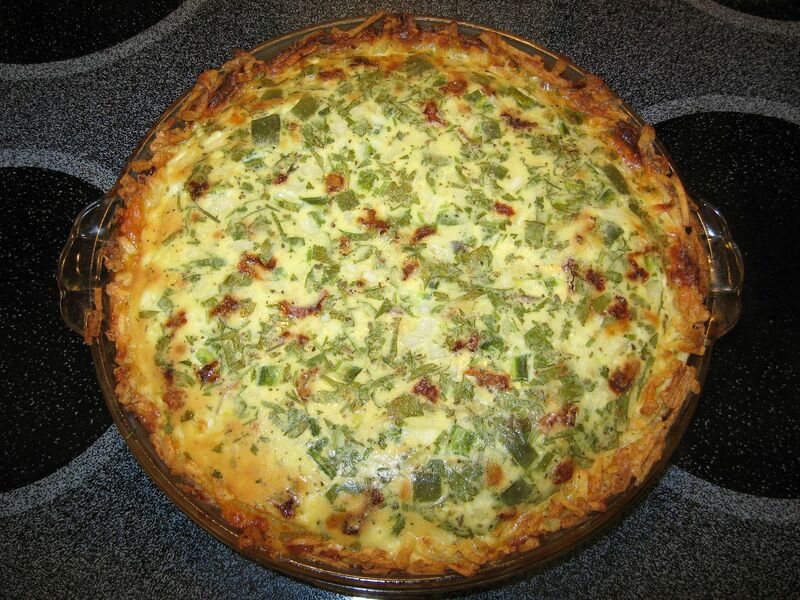 Eggs are quite simply a perfect food, and quiche is the best possible savory application I can think of. 3. Blend, blend, blend! 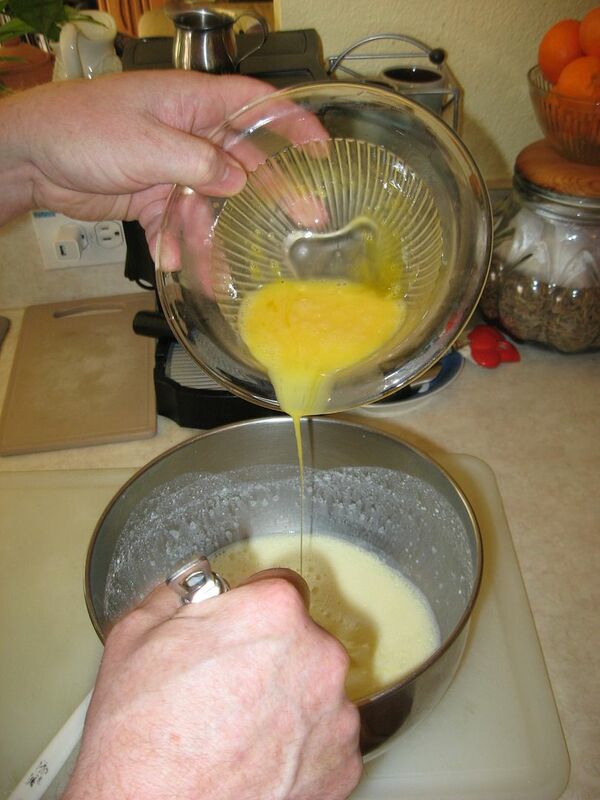 When you combine your egg-milk mixture, the more it is blended, the smoother your custard will be – Use a boat motor if you’ve got one, or a stand mixer or blender of you don’t. 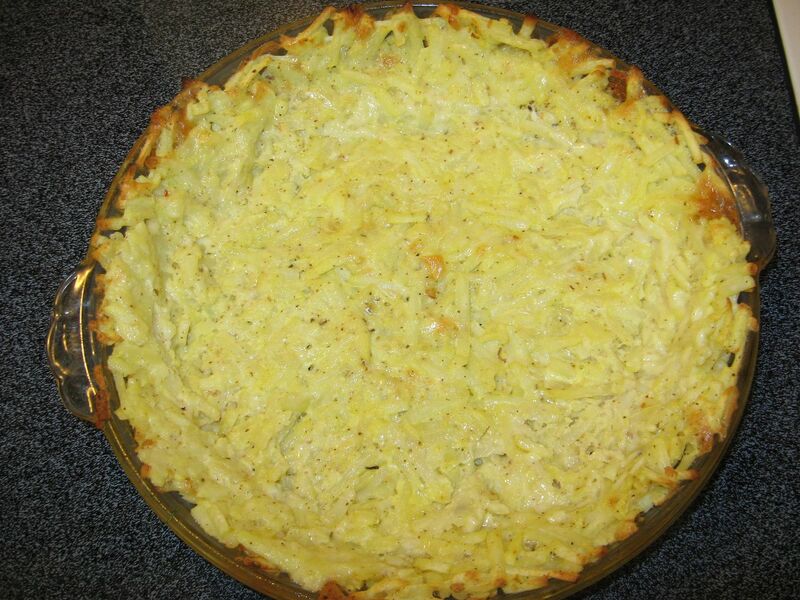 Pre-prep for the crust, the night before you’re gonna cook this up, grate about 2 cups of your favorite hash brown potato; Russets are most traditional, but any high-starch potato will do fine. Put your spuds in a glass storage container and throw that into your freezer overnight. Mix everything well, and then sling it into a lightly oiled pie pan. You want a layer about ¼” thick, with no holes; raise your sides about ½” higher than the sides of the pan, to account for shrinkage during blind baking. Bake the crust for 15 minutes; remove it from the oven, leaving the temp as it was. Check your crust and fill any holes, build the sides back up, etc, as needed to assure that it will hold the filling well. 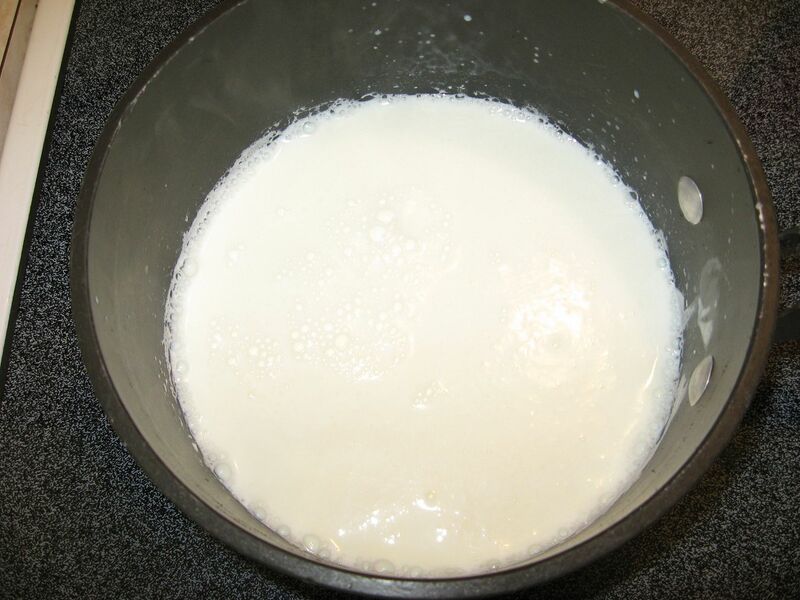 Filling: Scald 2 cups of milk, (Or, as you can see here, I used 1 ¾ cups of 2% milk augmented with ¼ cup of sour cream, to make it as rich and naughty as I think it aughta be – When I have it, I’ll do 3 parts milk to 1 part heavy cream for the same reason). Let your milk cool for a while, (And if you’re impatient, put it in a stainless bowl and roll it around the full perimeter every now and again, which will let the heat absorbing capability of the bowl to your advantage). Whisk your eggs well; once the milk has cooled enough so that it won’t instantly cook your eggs, slowly and evenly pour the eggs into the milk, whisking constantly, until you have a nice blend. Motorboat/blend/mix the whole shebang for a good couple of minutes. Season your blend as you see fit; again, salt and pepper are a must – I added Tabasco, garlic, oregano and sage to this one.